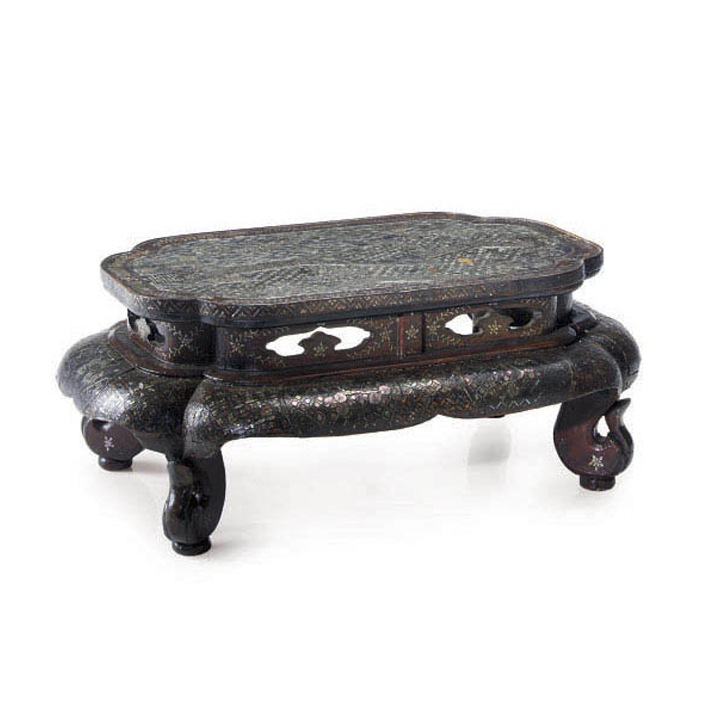 CHINESE MOTHER OF PEARL SCHOLARS TABLE; the top with a landscape scene within a reserve over a pierced apron above a rounded and scalloped base with pierced swan-scrolled legs. Scrolling vine and geometric floral decoration within reserves throughout. 18th Century.